This is a rare white humpback whale that lives off the coast of Australia. 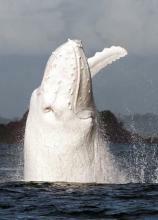 The popular cetacean has been named Migaloo, which means "white fella" in the aboriginal language. 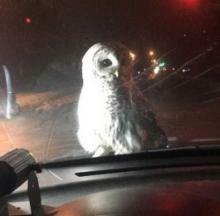 A patrolling Duluth police officer got a bird's eye view of a disoriented Barred Owl when the harried hooter hopped onto the hood of his squad car. 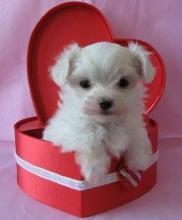 I am the perfect thing to give for Valentine's Day. I fit in a heart-shaped box and I don't have the calories of candy. Executive Order To Deport Giant Panda Bao Bao? Most dogs with vision loss or blindness experience a gradual loss of vision over time. But for some, the loss of vision can be rapid and sudden.